Our Ambulance Subscription Program provides residents of the municipalities we serve protection from out-of-pocket expenses related to emergency medical services. For a small yearly fee, subscribers receive unlimited medically necessary emergency ambulance service and discounts on services which are not deemed medically necessary or patient responsibility by their insurance carrier. Something most residents are not aware of, we do not receive any direct tax dollar support from the communities we serve! Our funding comes from our Subscription program, our donation program and fees for service. So your participation in our Subscription program allows the community to support the Ambulance Authority which, in turn, directly helps fund us so we can continue to provide you the highest levels of patient care. "is a covered service" under their policy. In some cases not all the services we provide are covered by every insurance carrier and sometimes only portions of a service are covered. Insurance carriers also use the term "medically necessary" which they have defined. 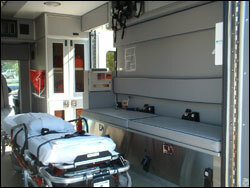 For example, most carriers will not cover the non-emergency ambulance transfer of a patient from one hospital to another when the services are available at the first hospital (i.e., transporting a patient from Hospital A to Hospital B because their doctor does not have privileges at Hospital A). Unfortunately, many people are under the false impression that their insurance covers everything and it does not. There are so many different insurance carriers and policies available today that it is impossible for us to know what is or is not a covered service by each carrier. Our business is patient care. That is why we urge residents to read their policy every year it is renewed. Our Subscription Program covers any permanent resident of The Town of McCandless, Franklin Park Borough, Borough of Bradford Woods, Marshall Township and The Township of Pine. This includes any family members who are also permanent residents of the household. Note: If your insurance is Medicaid or a Medicaid HMO you cannot participate in our Subscription Program by Medicaid rules. to our Donations page (click here) and complete our Donation Form to print out and mail in. The Town of McCandless & Franklin Park Borough from July 1st to June 30th. You can join our subscription program at any time during the year. When your community&apos;s next subscription mailing is sent out and you joined midyear, your subscription will be prorated to put you in line with the rest of the community mailing. When any individual who is a subscriber utilizes the ambulance service for a sudden onset of an illness or injury that requires immediate transportation to a hospital, we will bill the subscriber&apos;s insurance carrier for the services we provided. If there are portions of our fee which are not covered by the insurance carrier (i.e., co-pay and/or deductible amounts), we will accept the payment from the insurance carrier as payment in-full. The subscriber will not be responsible for the difference between our charges and the insurance carrier's payment. If the transport is considered "not medically necessary" or "a non-covered service" by your insurance carrier, we will discuss a discounted amount with our subscriber. If we respond to a medical emergency in which you are involved, treat you and you decline transport or if transportation is not necessary, there is no charge. Medically Necessary transports: When a subscriber requires ambulance transportation on a non-emergency basis that is medically necessary (as determined by the individual&apos;s insurance carrier), we will bill the subscriber&apos;s insurance carrier for the services provided. If there are portions of our fee (i.e., co-pay and or deductible amounts) which are not covered by the insurance carrier, the payment from the insurance carrier will be accepted as payment in-full. Non-Medically Necessary transports: When a subscriber requires ambulance transportation on a non-emergency basis that is not medically necessary (as determined by the individual&apos;s insurance carrier), we will bill the subscriber at a discounted amount for the trip. This service is for individuals who can safely sit up in a wheelchair, do not require medical evaluation or intervention and need limited assistance in getting to or from a medical facility. Clients must not have a medical condition requiring medical intervention and or medical supervision, or have any contagious medical condition. 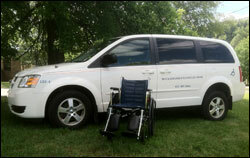 Most insurance carriers do not consider this type of transportation medically necessary and therefore, do not cover the service. Subscribers receive a discounted rate for this service. Note: If the client requires oxygen, by Pennsylvania Department of Health regulations, they must provide their own oxygen and be able to administer it to themselves or have a family member/companion go along who can administer it. Our staff is not allowed to administer the oxygen. Expanded Coverage#1: As an added bonus in a cooperative agreement between the member services of Northeast Ambulance Alliance (NEAA) to which McCandless-Franklin Park Ambulance Authority belongs, a subscription with us is honored for emergency ambulance service by all the member services. If you use a participating NEAA ambulance service, that ambulance service will offer the same benefits to you as they would to one of their own subscribers. Please note that subscription benefits vary by ambulance service which may vary from our subscription program. The participating NEAA ambulance services are: Citizens Hose Ambulance Service, Cranberry Township EMS, Eureka Community Ambulance, Foxwall EMS, Freeport EMS, Hampton Township EMS, Lower Burrell EMS, Lower Valley EMS, New Kensington EMS, Parkview EMS, Plum Emergency Medical Services, Richland EMS, Ross/West View EMS Authority, Seneca Area EMS, Shaler Area EMS and West Deer Ambulance Service, Inc.
For additional information or to ask questions regarding our Subscription Program, please feel free to contact our billing office at (412) 367-5883 during normal business hours, 8 a.m. to 5 p.m., Monday-Friday (Closed on Holidays). #1: Expanded Coverage is subject to change without advanced notice.